Yahoo! Inc. (YHOO) – Microsoft Corporation (MSFT) Search Deal: What Does Renegotiation Push Back Signal? We use the word Google instead of search, which clearly shows the dominance that Google Inc (NASDAQ:GOOGL) has in the search engine. Yahoo! Inc. (NASDAQ:YHOO) tried really hard to complete against the likes of Google. In order to better compete, Yahoo! Inc. (NASDAQ:YHOO) has made a 10-year search deal with Microsoft Corporation (NASDAQ:MSFT) back in 2010. Susannah Lee of ‘TheStreet’ reported earlier today that Yahoo! 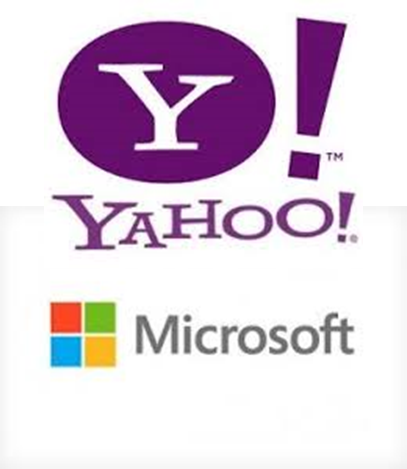 Inc. (NASDAQ:YHOO) and Microsoft Corporation (NASDAQ:MSFT) are in the process of renegotiating the search deal framed by Ex-CEO’s of these tech giants. A ‘Reuters’ article gave more insights into the renegotiations. Lee reported that Yahoo! Inc. (NASDAQ:YHOO) and Microsoft Corporation (NASDAQ:MSFT) has pushed back the deadline by 30 days to renegotiate their 10-year search deal. She added that the tech giants made this deal back in 2010 in order to compete better against the likes of Google. The Reuters article reported that search engine deal between Yahoo! Inc. (NASDAQ:YHOO) and Microsoft Corporation (NASDAQ:MSFT) had the provision to terminate or change the original terms after 5 years. According to the original deal both these tech giants had 30 days post Feb 23 to renegotiate or cancel the deal. Both Yahoo! Inc. (NASDAQ:YHOO) and Microsoft Corporation (NASDAQ:MSFT) has unanimously decided to push back the deadline by 30 more days. “We value our partnership with Microsoft and continue discussions about plans for the future. We have nothing further to announce at this time,” Yahoo! Inc. (NASDAQ:YHOO) was quoted as commenting about the deal. Is Marissa Mayer, CEO of Yahoo! Inc. (NASDAQ:YHOO) and Satya Nadella, CEO of Microsoft Corporation (NASDAQ:MSFT) dissatisfied with the original terms set by former CEO’s of these companies? Does this push back show that they would like to continue this partnership or does it signal that the deal is about to be broken? Everything is still in the air and as of now we need to wait for 30 more days to know the exact situation. There is a reason to believe that this deal could be broken. Main idea behind this deal was to compete against Google and capture the search engine market share from it. But nothing has changed since the deal was first crafted. Google still has more than 65% market share. In the past, Mayer has explicitly displayed her dissatisfaction with the deal, as she tried not to use Microsoft’s search engine for some sectors. But she was forced to use the Microsoft’s search engine, as dictated by the court. So this might be her chance to cut off Microsoft Corporation (NASDAQ:MSFT).